One of the industry’s leading food process equipment manufacturers has stepped up its global presence by supplying bespoke equipment for an Australian snack maker. 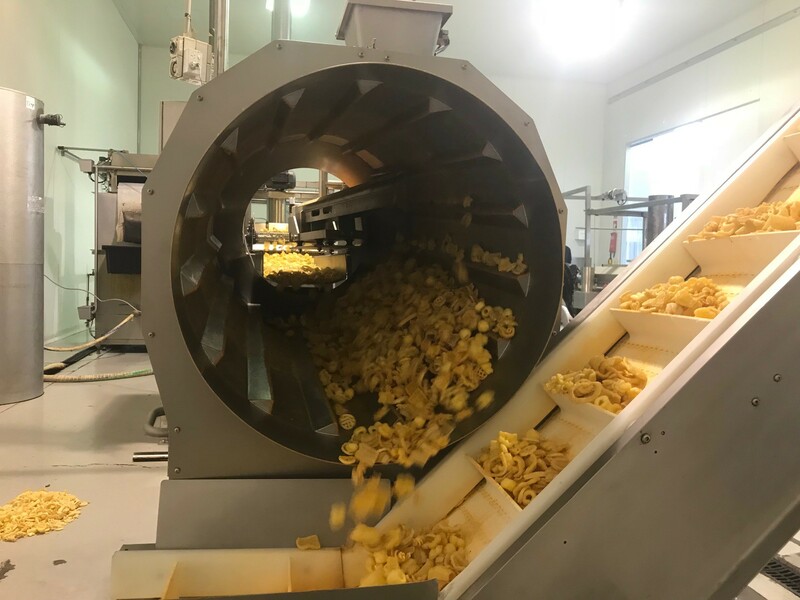 UK-based Fabcon Food Systems has provided a full seasoning system for Snack Lovers, a savoury snack manufacturer known for the unique shapes, textures and tastes of its products which are sold across Australia. Trevor Howard, managing director of Fabcon Food Systems, said: “Snack Lovers has a long and successful history in the Australian snacks market so we’re really delighted to be part of the company’s ongoing success story. We clicked straight away with the team and understood what they needed to help support their seasoning process. Ewan Busch, co-founder of Snack Lovers, added: “We met the Fabcon team at a trade event in Vienna in 2017 and were really impressed with the quality of their seasoning equipment and its pricing. Formed in 2015, Fabcon Food Systems manufacture, supply and install innovative handling and processing equipment for the food industry. Designed and built at the company’s Norwich factory, Fabcon’s team of 25 supply systems and machinery to customers in the UK, mainland Europe, the Middle East, Australia and Africa.